Runoffgroove’s Azabache (Great Fender™ amp emulation). 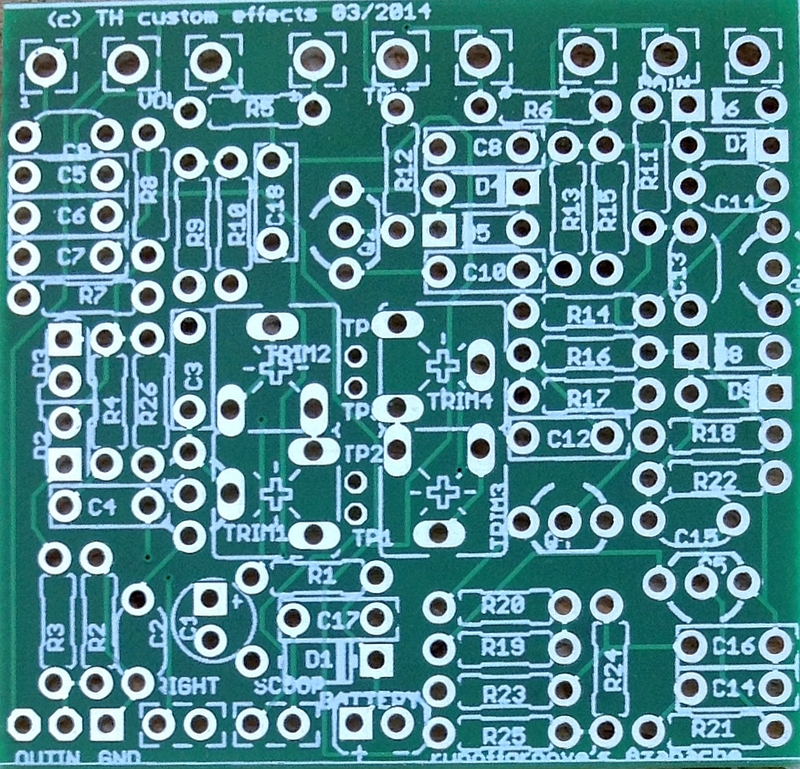 This is a great PCB layout that is tight but won’t “bunch up” the components. You can use this in a 1590B enclosure without any problems, too. The effect itself can be quite gainy at noon-ish gain settings, so I’d recommend playing around with other JFET’s like MPF102’s and/or 2N5457’s in order to expand the lower gain adjustment possibilities. 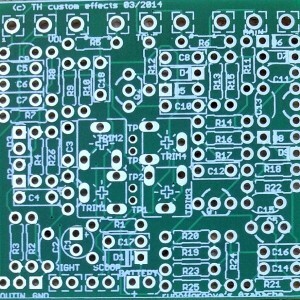 If you find it too trebly and the tone control just isn’t helping all that much, use a very small value resistor for R5 (like 1k, 470 ohms or something even smaller) or just substitute it for a link altogether. With these little adjustments done it’s the best thing I’ve ever come across regarding Fender amp type tones from an analog circuit. A Must-build.